2- Can i pass studying only 1 month? 3- I have seen that the contents of the test are pretty easy, that preceeds? 4- What daily routine do you recomend? 5- Does it worth it? Java 9 is comming. The price varies by country. In the United States, it is $245. As for why that is the price, it is the one Oracle picked. I imagine it covers the cost of developing the test. But I don't work for Oracle, so I don't know. Léo Hardt wrote: 2- Can i pass studying only 1 month? I strongly doubt that. If you are on your third day of Java, you are coming from pretty much the beginning. Léo Hardt wrote: 3- I have seen that the contents of the test are pretty easy, that preceeds? What makes you say it is easy? It's easier than the 809 exam, but I don't know that I'd call it easy. Have you tried any of the free mock exam samples? Do you still think it is easy? 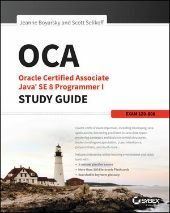 First learn the basics of Java without thinking about the exam. Then get a study guide and read that while coding a lot. Master the questions and then take the practice exams. Then take the real exam. As you noted, the exam isn't cheap, so you don't want to fail. (I wrote a study guide, but this isn't a self serving comment. The exam is significantly harder to pass without a study guide). Léo Hardt wrote: 5- Does it worth it? Java 9 is comming. Java 9 is coming in 270 days. Then takes a good while for an exam to be released after a language release. Which means the exams for Java 9 are likely over a year away. I wouldn't wait.